"'My Seven places' starts at the moment I was evicted from several places which are dear to me. They served me well as homes, both as place for living and working. This was the start of my urban wandering, which would take me ten years - a journey of 300.000 kilometers - before returning just about to my starting point. The adventure was both physical and metaphysical. Fragments of documentary films, a personal diary, bedside-table notes, piece of fiction, 'My Seven places' is an essay about passing time, embellished by a jumble of reflections both light and serious; finally, it is an attempt to simply exist. The fourth episode of my autobiographical fiction, which started in 1983." 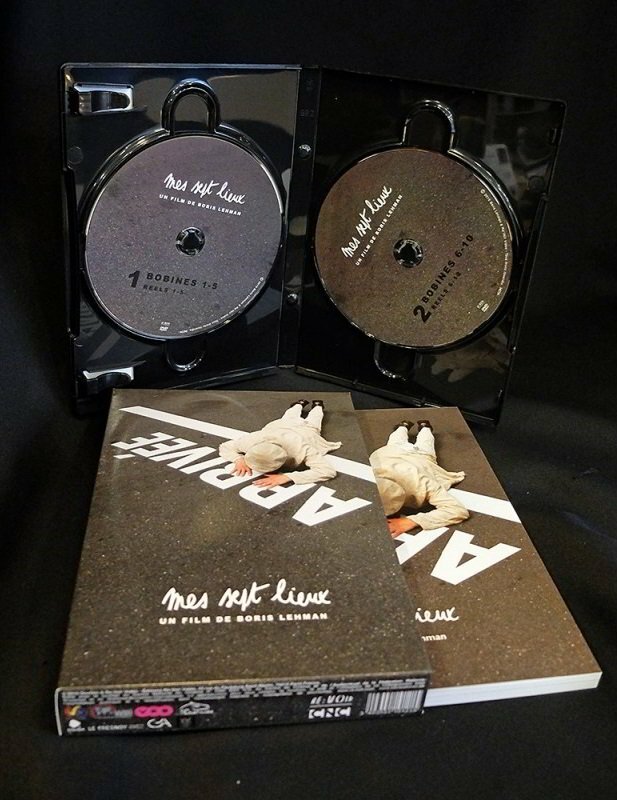 This boxset of 'Mes sept lieux' includes 2 DVDs and a 36-page book (in French) published by Yellow Now/Côté Cinéma.